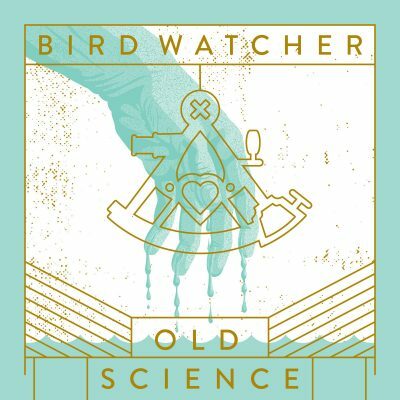 Within the first few seconds of the first song on the album, Bird Watcher send those who listen into a post-punk haze full of wonder, poetic verse and a desperate need to be heard. The Ogden-based band’s third release offers a more mature, evolved sound than their previous EP, The Luna Sessions, while still maintaining certain elements, like the rawness from the acoustic guitar. The overall composition of this piece is crisp and clean to the ear, which makes it that much more amazing. This EP consists of six songs, and each shines for different reasons. “Hope” is the third track on the EP and sounds like the equivalent of staying up too late on a Monday night and getting lost in your mind. It’s one of my favorites on the album, because although it seems calm and simple, the lyrics are heavy enough to leave a lasting impression. Just like reading words out of a journal, Aaron Peat sings, “Remember me / Remember us / Remember how clean we are underneath all the rust / There is still hope.” Another favorite of mine wraps up the album: “We Haven’t Located Us Yet.” This song is not only dreamy, but it also illustrates helplessness, something that anyone who listens could relate to, found in the lyrics as well as the overall buildup, climax and downfall of the song. It all coalesces into simple guitar plucking, layered vocals and distortion, which acts as the calm after an emotional storm. It’s simply a perfect ending to a complex, emotional album and I can’t get enough of it.